ATLANTA – Cummins Inc. announced that its Cummins QSK95 locomotive engine is in active service installed in Siemens® Charger locomotives in California, Illinois, Michigan, Missouri and Wisconsin. As displayed at APTA Expo (Booth 1933), the QSK95 uses integrated Selective Catalytic Reduction (SCR) after-treatment to meet Tier 4 emissions. Combined with Cummins latest-generation Modular Common Rail fuel system (MCR) and turbocharging, it delivers 4400 hp (3281 kW), the highest output of any 16-cylinder high-speed diesel. It enables locomotives to reach top speeds of over 125 mph (201 kmh). “Versus medium-speed engines, the QSK95 delivers unmatched fuel efficiency and responsiveness with ultra-low emissions and reduced noise, all in a smaller footprint. It supports a 16 percent improvement in fuel efficiency over the non-Tier 4 locomotives that the Charger will replace. The emissions improvement is around 90 percent,” said Melina Kennedy, Executive Director of Cummins Rail Business. The Charger locomotives, built by Siemens in Sacramento, California, are the first high-speed passenger locomotives to receive Tier 4 emissions certification from the U.S. Environmental Protection Agency (EPA). They are Buy America compliant, using a diverse base of U.S. suppliers including Cummins. The lighter-weight design enables improved efficiency as well as less maintenance for both the locomotive and the railway infrastructure. Cummins high-speed QSK95 engine is 30-50 percent lighter and smaller than an equivalent traditional medium-speed engine. The locomotive has a fuel capacity of 2,200 gallons and is three times more efficient per passenger than comparable two-person car travel. Locomotives are currently operating from hubs in Oakland and Chicago. Brightline’s passenger rail service, connecting to South Florida and later on to Orlando, will operate from West Palm Beach. In 2018, there will be a further hub in Baltimore. 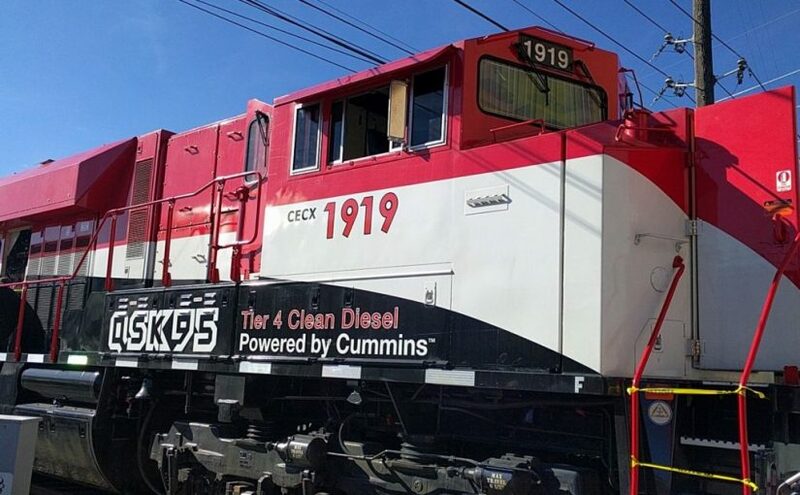 The locomotives are being supported by close collaboration from Siemens and the local Cummins distributors to ensure high levels of equipment uptime. “To date, we have delivered 70 out of the 80 engines initially ordered. Based on the positive feedback so far, we expect demand to continue as more projects come on-line,” added Kennedy. The news stories veer from optimistic ‘brave new world starts now’, to some horror story about the dangers of computer-controlled monsters. 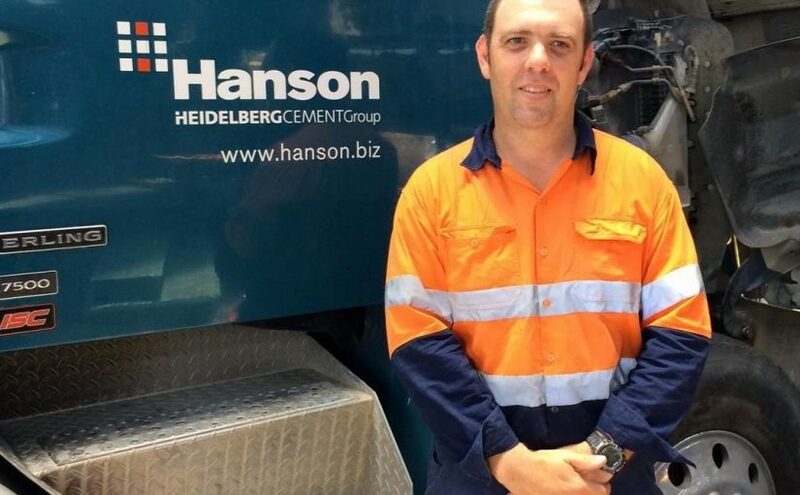 Then there’s a future when we don’t need truckies and everything-will-be-delivered-to-our-backyard-by-drone scenarios.This isn’t just hype, there are some serious global players tipping serious investment into the whole area. When you have Amazon, Uber, Tesla, Daimler, Volkswagen, Volvo and many more spending big in research and development, you know something is going change. These kinds of global companies don’t invest large amounts unless they are pretty certain of the outcome. There is one aspect of this whole area that seems to get missed by most of the reports, and most of the commentators on the topic – this is not all going to happen at once. We are not going to be driving all of our trucks today and then kicked out the cabin to let the robots take over tomorrow. It is a process, quite a long process. In fact, automotive society SAE International has created five stages of autonomous vehicles, as a guide to understanding where we are now and where we may end up. These have been clearly defined and the demarcations are being used both by those people developing the new technologies and those developing legislation and a framework in which automation can work. At the moment, we are in stage one, with stage two available in some cases. There is some autonomy, with systems like adaptive cruise control and automatic emergency braking, but that’s as far as it goes, just for now. The next step will be in the realm of steering, where lane-keeping warning systems don’t just set off a buzzer, but also intervene and kick the steering back into the lane. Now, we are starting to get into the realm of an autonomous truck, but we are very far from a ‘driverless’ truck. That is much further away. At this stage, we still need an alert driver in the driving seat able to intervene at any moment. They may not have their hands on the wheel, but they are still needed. The truck, on its own, will keep going at the set speed and keep a safe distance from the vehicle ahead. If something stops abruptly or appears in front of the truck, the emergency braking will activate. The truck will stay in the lane it is in without veering off course. That’s it. The driver is still vital to the safety of the truck and other road users. Even the stage after that will involve considerable driver input. Platooning is one of those technologies that should come into play at this stage in development. The driver of the front truck is in control, often in the same way as in the truck described above. The two or three trucks trailing behind will still need a minder but will simply mimic the action of the front truck in most situations. If something drastic does go wrong, they will be programmed to bring themselves to a halt as safely as possible. If the problem is less severe, the truck’s driver will be alerted to return to the driving seat and resume control. Even at this level we are miles away from the ‘driverless’ truck we keep hearing about. Those are not going to be thinkable until we have smart highways where the road signs and traffic signal are all communicating with the vehicles on the road, and all of the vehicles on that road are using Intelligent Transport System (ITS) to run their control systems. To get some real ITS capability on Australian roads is going to be a project on the scale of the NBN rollout, and we know long some of us are having to wait for that. Driverless trucks are quite some time away, but we need to arm ourselves with the right information about their potential and prepare for their arrival, whenever that may be. With thanks, Diesel News .